Irvin Green passed away on July 1st. He was 90 years old. Irv grew up on the west side of Chicago in a rough and tumble "mixed" neighborhood, and worked side by side with "all types of people". He left college during the depression to try and get a job to help support the family, and became involved in manufacturing the hydraulic presses that were used to make records. Intrigued by the music business, he soon found himself the owner of record-pressing plants in both Chicago and St. Louis. His main customers were the guys with "jukebox routes" who lugged the heavy and fragile 78s around the country switching out the records in the boxes every week or so. 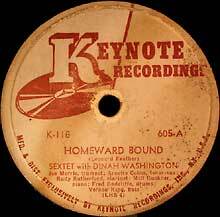 During World War II, the shellac used to make the records was needed for the military, and was in scarce supply. Green and his company pioneered the use of the newly invented "plastic" in record manufacturing and came up with the 'unbreakable' 10 inch 78. 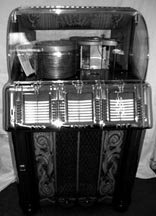 This not only revolutionized the industry, but made him many friends among the jukebox guys. Those friends came in handy when he and a few partners started their own record company, Mercury Records, in 1945. They saw to it that Irv's records were the first ones to make it onto the boxes, often before the big hits from Decca, Columbia, and the other major conglomerates. Ruth Jones, meanwhile, had moved from Tuscaloosa, Alabama to Chicago with her family while still a baby. She learned to sing and play the piano from her mother, who was the choir director at St. Luke's Baptist Church on the South Side. By the time she had reached her teens, she was performing with Gospel legend Sallie Martin. Ruth won an amateur talent contest at the Regal Theater when she was 15, and that convinced her to try and "cross-over". 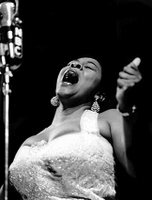 When she was 18, she got a job opening for Lionel Hampton at the Garrick Bar in Chicago, and before long she had become his vocalist and was touring with his band. (This is the period where she was re-christened Dinah Washington, although it's unclear just WHO came up with the idea...) British jazz freak Leonard Feather heard Washington singing with Hampton at the Apollo in New York, and organized her first recording sessions for Keynote records in 1944. The resulting Salty Papa Blues and Evil Gal Blues broke into the R&B top ten, and Dinah was on her way. Irv Green signed her to his label in January of 1946, and began sending her records out along the jukebox routes. With virtually no radio airplay, they became immensely popular among black audiences and were selling like hotcakes. By 1949, she became known as The Queen of the Jukeboxes, and had sold over a million records for Mercury. The label allowed its artists to control their own songwriting and publishing rights, unlike most of the big corporations, and was respected by the musicians because of it. His roster of artists soon included people like Sarah Vaughan, Dizzy Gillespie, and Nina Simone. 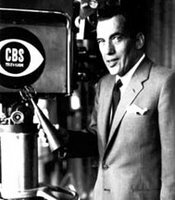 Green worked to lift the ban on live music performances on the new medium of television, and convinced his friend Ed Sullivan to begin featuring black artists like Dinah on his "Toast Of The Town" variety show by the early 50s. When Nat King Cole's own TV show was under fire by racist network execs and sponsors in 1957, Green sent white Mercury star Frankie Laine to sing a duet with him on the show free of charge, something that was positively unheard of before. Mercury had grown to be a major player in the industry by the mid-fifties, not only in Jazz and R&B, but in the pop field as well with chartbusters by folks like Patti Page, Vic Damone and The Platters. They also went on to create what many still consider to be the finest recordings of Classical Music ever made on three-channel 35mm film for their Living Presence series. Green had hired a young arranger by the name of Quincy Jones to work with Dinah Washington, as 'old-school' singers like her found it hard to compete in the rock & roll era. Her new 'adult-oriented' kind of sound concentrated more on Jazz standards and ballads, and kept her in the charts throughout the decade. 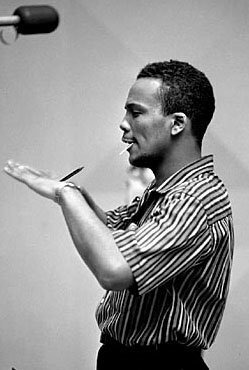 Green took Jones 'under his wing' and taught him the business from the ground up, making him A&R man and vice-president, and first black executive of a major record company, by the early sixties. Dinah, meanwhile, was not content to just fade away, and took her coronation as Queen seriously (just ask her seven husbands!). The pairing of producer Clyde Otis with arranger and orchestra leader Belford Hendricks would give her her biggest hit yet when What A Diff'rence A Day Makes hit big in early 1959. The record became her first million-seller, and was one of the first 45s ever to be issued in stereo! Although many of her Jazz and R&B fans were put off by her new lush sound, and accused her of 'selling out', she was squarely back in the public eye. Her great version of Unforgettable followed, and broke the top 20, but the best was yet to come. Dinah had teamed up with fellow Mercury artist Brook Benton to form a production company that summer, and toured together with James Moody, Eddie Jefferson and The Falcons. 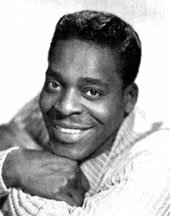 When the Clyde Otis produced duet Baby (You've Got What It Takes) was released in January of 1960, it just took off, spending ten weeks at number one. The word on the street was that Washington and Benton couldn't stand each other by then, and Otis' decision to use the take where he messes up and has to be corrected by 'the Queen' was pure genius! The follow-up, A Rockin' Good Way (To Mess Around And Fall In Love), went straight to the top as well. A song Clyde Otis wrote for her, This Bitter Earth, would also top the charts that summer, and is considered by many to be her "signature song". 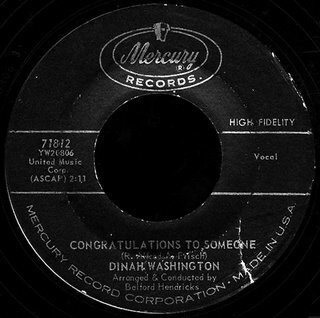 Today's B side (the flip of Gershwin standard Our Love Is Here To Stay) was released shortly thereafter (in early 1961), and is typical of her Belford Hendricks backed sides of the period. I just love the way her incredible voice cuts through all the fluff and delivers the goods there by the end of the record. A Queen indeed. 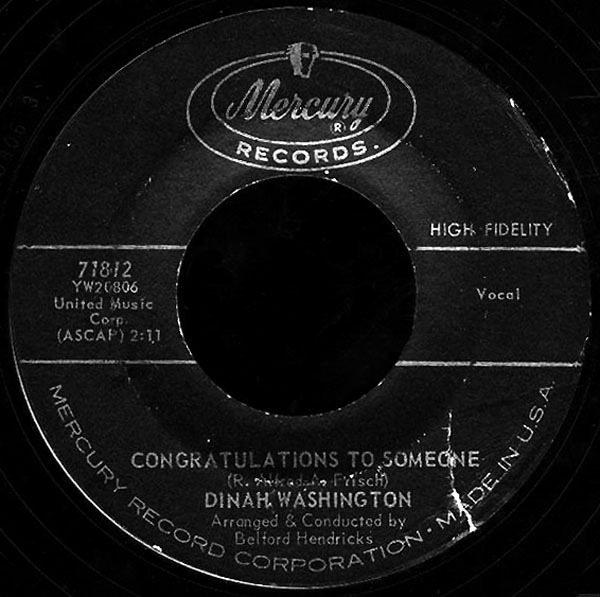 Dinah would break the top ten one more time later that year with her version of September In The Rain, but would leave Mercury for Roulette Records in 1962. In December of 1963, she died in her sleep from a lethal combination of "diet pills" and booze. She was 39 years old. Mercury Records was taken over by North American Phillips in November of 1961, and was broken up into smaller subsidiary labels (like Smash and Fontana), but still continued to crank out the hits. It would later become part of Polygram in 1969, and, as I'm sure you know, was home to cool artists like Jerry Butler, Roy C, and The Ohio Players. Irv Green would go on to become a major real estate developer, building some 18,000 homes in Iran before he and the Shah were kicked out in the late seventies. He retired to Palm Springs, and was still active in the business when he died. He was loved and respected by all who knew him, and his many contributions to the music industry changed it forever. Keep up the great posts! My father had some of those Mercury classics. I have a few left in my small collection. I own 3 of 6 volumes of the 3-cd sets of Dinah on Mercury. Seminal music. adopted son in New York, but even he has probably never seen a royalty check. I love Dinah, her music was definitely the bridge from blues & jazz, pop, R & B to soul, where Dinah stopped with the Nicholas Ashford & Valerie Simpson song, appropriately titled "Soulville." 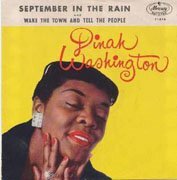 Don't forget her Mecury masterpiece lp, "Tears and Laughter" which is performed by Dinah Washinton & The Dells (i.e. the group did confirm their participation on this album to this writer. The Dells consider this album to be one of their best with the Queen firmly in the lead vocal, with some vocal lines given to Dells' members). The screenplay for the forthcoming biopic, "Dinah, The Queen," will feature these and other recollections from those that met and/or worked with the one of the greatest entertainers of all time. yes it is true, the family has not seen any royalty checks. Dinah had to sons. George Jenkins Jr. and Robert Grayson. I am one of the daughters of George Jenkins Jr. who is now deceased and was told my dad spent most of his adult life trying to get royalties back to the rightful heirs. Where is the fairness when other people are made rich off someone else sweat and tears, and no effort to take care or seek out rightful heirs is made so they can share in not only the bloodline, but the blessings from their loved one's legacy. That is truly unGodly and unfair. It is not the type of message what America should be producing. Would also like to add, that those where her two natural sons born to her and George Jenkins Sr. and my uncle was born to her and Robert Grayson Sr. It's too bad that in the early days of muic recordings, many artists didn't retain, think of retaining, or were able to retain the rights to their work. And some signed away those rights, never dreaming that it would be of any importance in the future. Record companies went out of business, sold catalogues to private entities, or just disappeared. Additionally, few artists thought that their time would ever end or that something would happen to change their circumstances and didn't think much past the moment. It wasn't until much later, when artists like Stevie Wonder and others hired attorneys and put contracts in place that protected them from the kind of exploitation that was rampant in the early years. For those who had no such protection, their work was a free-for-all who came along and saw a market for making money - and alot of the time they didn't have to pay for it, or if they did, only a fraction of its worth. Later on, laws were put in place for artists and their heirs to benefit from some of their work - but have fun trying to unravel the legalities. Truly is a fact, that those who preceded us, by their lifecourse and decisions, continue to affect us even today. The only thing left to work with is their legacy, and if you have inherited even a fraction of the talent, that legacy will continue to be sustained. In the final analysis, that's just how it was - the era, and unfortunately we can't go back in time to change things. of Mother and sister is valid and. Holds merit this not dispute the. 1987 bio on Dinah! It's been 48yrs. Dinah master tapes should be family! I have been a researcher since the day Dorothy Dandridge died. 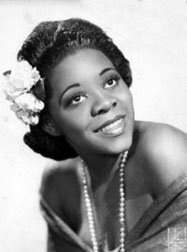 I am fan of Dinah Washington and even recently portrayed her in 'BOJO'S PLACE" a musical that is put on every BLACK HISTORY MONTH. She was amazing to me and I feel that it's my job to let the world rediscover THE QUEEN and I have so much fun being THE QUEEN OF THE BLUES.